Yet gentle, effective exercise can often help with the prevention and management of lower back pain. This was underlined by the publication in 2009 of medical guidelines recommending that people with persistent non-specific lower back pain should be encouraged to stay physically active and exercise. Non-specific lower back pain is tension, soreness and/or stiffness in the lower back region, back pain for which your medical practitioner has not been able to identify a specific cause for the pain. The key focus will be to help you to self-manage your condition and to keep you active. 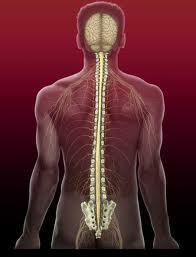 Back4Good® Practitioners are exercise specialists, we are trained to help people with non-specific lower back pain. We are already experienced Body Control Pilates teachers, having been certified by Europe’s foremost Pilates organisation. We have additionally undertaken extensive training exclusively related to exercise referral and lower back pain to become a Back4Good® Practitioner and a Level 4 Advanced Exercise Instructor. This training has been externally accredited by SkillsActive and The Register of Exercise Professionals who oversee quality and standards for the UK health and fitness industry. If your doctor, physiotherapist, osteopath or chiropractor has referred you to a Back4Good® Practitioner – or if you enrol for the ‘Healthy Back’ classes – you can have total peace of mind that you are being taught by a qualified professional. As a Back4Good® Practitioner if I need to liaise with your doctor or specialist I am able to do so as I have been equipped with the skills to do this as part of my training – (contact would only ever be made with your permission and in complete confidence as Practitioners are bound by a strict Code of Professional Practice). BackCare, the national charity for healthier backs, has endorsed the training programme for Back4Good® Practitioners, who are registered as BackCare Professionals. Alternatively, if you are looking at back pain prevention, then the ‘Healthy Back’ class is the perfect option. Based on the world-renowned Body Control Pilates programme, these classes (private one-to-one or semi-private sessions are also available) will give you a gentle, balanced workout with the focus on strengthening the core abdominals that do so much to support your back, improve the quality of your movements and keep your spine flexible and strong.